Although born in Italy, Aldo Romano moved to France with his family at a young age. He was already playing guitar and drums professionally in Paris in the '50s when he heard Donald Byrd's group with drummer Arthur Taylor. Since then, he has dedicated himself to the drums and contemporary jazz. In Paris jazz clubs like le Chat Qui Piche and the Cameleon, Romano has accompanied visiting Americans like Jackie McLean, Bud Powell, Lucky Thompson, J.J. Johnson, and Woody Shaw while also exploring free music with Don Cherry and Gato Barbieri, Frank Wright and Bobby Few, Michel Portal, Fransois Tusques, Jean-Louis Chautemps, and Steve Lacy. Romano's boundless curiosity for any living music brought him in contact with electric jazz in the '70s, playing at the Riverbop with longtime associate/bassist Jean-Fransois Jenny-Clark, in addition to Fransois Jeanneau, Henri Texier, Charlie Mariano, and Philip Catherine. In 1978, he released his first album as a leader with Claude Bartholomy (Il Piacere, OWL), followed by 1980's Night Diary with Didier Lockwood and Jasper Van't Hof, and 1983's Alma Latina with Philip Catherine. 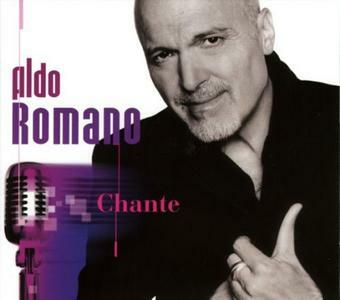 In 1980, Romano brought pianist Michel Petrucciani to the world's attention, introducing him to the producer of Owl Records. His Italian roots were lovingly remembered with the foundation of his Italian Quartet with Paolo Fresu, Franco D'Andrea, and Furio Di Castri. The quartet recorded To Be Ornette to Be and Water Dreams (Owl) and Non Dimenticar, a collection of Italian songs (Verve). Palatino — named for the Rome-Paris night train — also includes Fresu, with Glen Ferris on trombone. Intervista (Verve, 2001) — with bassist Palle Danielsson, saxophonist Stefano di Battista, and Brazilian guitarist Nelson Veras — is a magnificently played overview of his musical career, with Ornette Coleman-ish tunes, Latin-American compositions, and operatic arias. "Chante"’s seduction is in the taste and swagger of the delivery, arrangements and song choice. "A St. Germain des Pres," sung in French, brings you close to a lover in a Parisian cafe. "The end of a love affair," sung in accented English, drips with forlorn charm, while "Io qui tu li" is a slow burning love affair featuring supermodel Carla Bruni. While listening to this disc, it’s almost possible to forget what a towering figure Aldo Romano is in the world of instrumental jazz. He began his career in the 60s as innovator in the Italian free jazz movement. He would soon join forces with the likes of Keith Jarrett, Don Cherry, Eddy Louiss and Jean-Luc Ponty. Romano later became known for assembling brilliant albums with a wide range of styles and collaborators. He’s also credited with discovering and launching the career of Michel Petrucciani. "Chante" the first vocal record by Aldo Romano, will not only shock and delight jazz fans — but it will be coveted by ‘smooth operators’ all over the world!